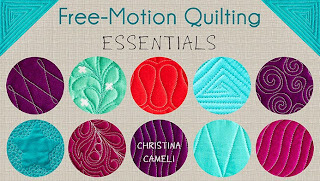 Do you see what I just did there, breezily claiming that I'll be posting about FMQ once a week? I love establishing grandiose plans just to see what happens. What probably will happen will be something like this. But let's just try it out anyway. 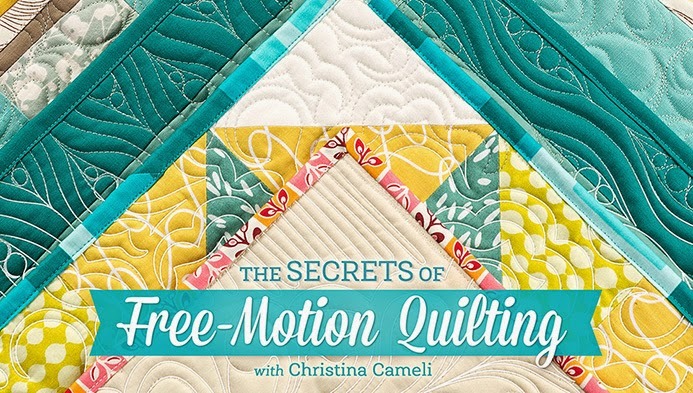 Today I want to teach you this quilting design and show you a video of it in action. I named it Wibbly Wobbly to thrill the Dr. Who nerds. Only first I want to tell you a secret. When I was a kid, I used to try to chew equally on both sides of my mouth. Like, 2 marshmallows on the left, 2 marshmallows on the right, 1 on the left, 1 on the right, and so on. That, unfortunately, is not normal. I manage to get through my days now without hard-and-fast attention to my chewing, but I still have this brain that wants to focus on patterns all the time. So that's why I think this stuff up and how lucky am I that I have a blog where I can post it and make it look like I am doing work, instead of just suffering from a strange obsession. I guess what I'm saying is: without you, I look crazy. So thanks for reading. Ok enough chit chat. What is awesome about this pattern is it has a lot of pebble-POW without having to actually cover the space with pebbling. 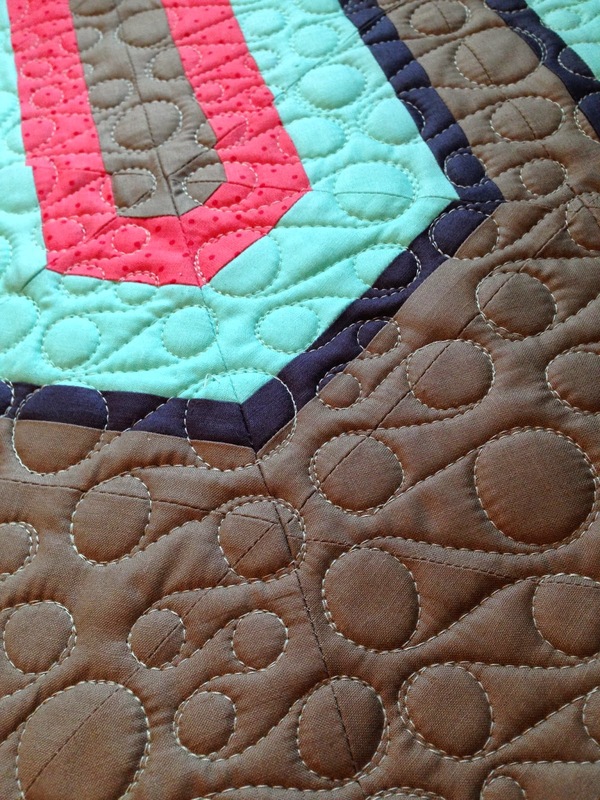 Quilting with pebbling has a tendency to chew up bobbins and time. This is pebble impact in half the time. 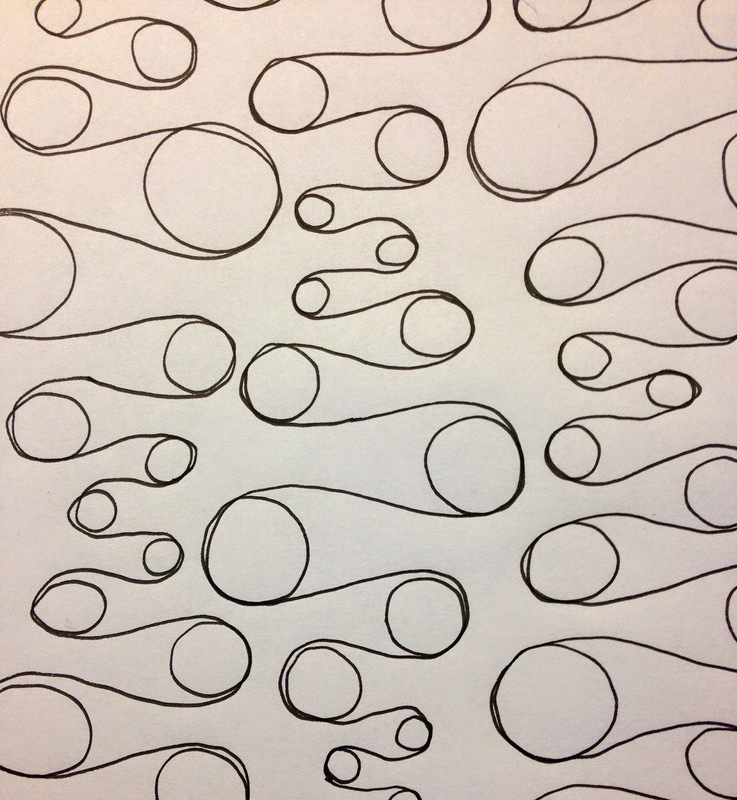 And if you can handle that then you can make this pattern just by changing the size of your circles! 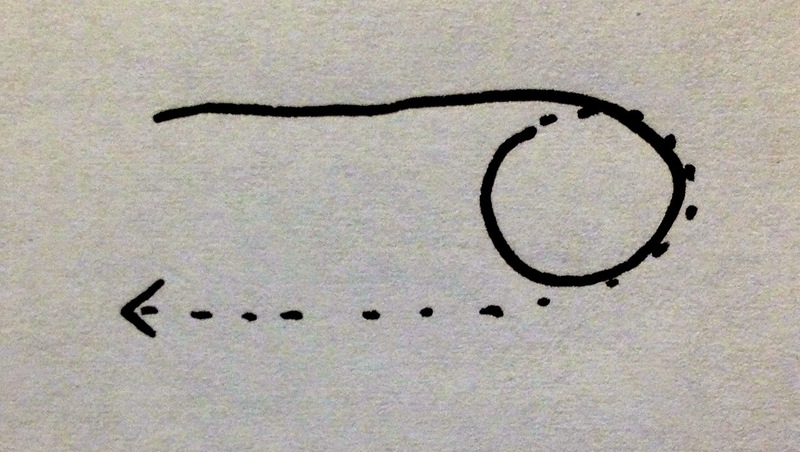 I just use three sizes of circles. I make a couple large ones, a couple medium ones, a couple or three small ones, then a couple mediums and then do it again. You see how I change not only the size of the circle but how far out to the side it goes, which gives the column wavy sides. After I make that first wavy-sided column (starting around the middle of my piece) then I come back alongside it with a new column. With this new column I still vary the small medium and large circles but I don't worry about keeping as strict of a pattern as I did with the first column, I just make sure that I fill in up to the edge of the previous column, and that I keep the other edge wavy. It's the wavy edges to the columns that keeps this looking really organic and forgiving of errors. So pay attention to keeping your free edge wavy instead of trying to keep a rigid pattern going. So, would you like to see me stitching it? Awesome, because I filmed over six minutes of that. 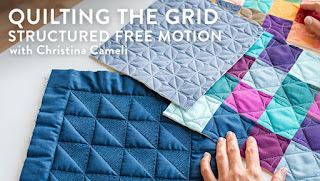 This video has no narration because the toddler was napping in the adjacent room and I love you, but not enough to wake up a sleeping kid by yammering about free motion quilting. Also, I had to put my iPad on some books to film it so when you see me raising my wrist really awkwardly it's because I haven't perfected that setup yet and the books were in my way. Let me know if you like the no-narration video thing. I can definitely do more of those! As with all free-motion designs please give yourself the gift of doodling them first before you get your sewing machine involved. You'll be glad you did! 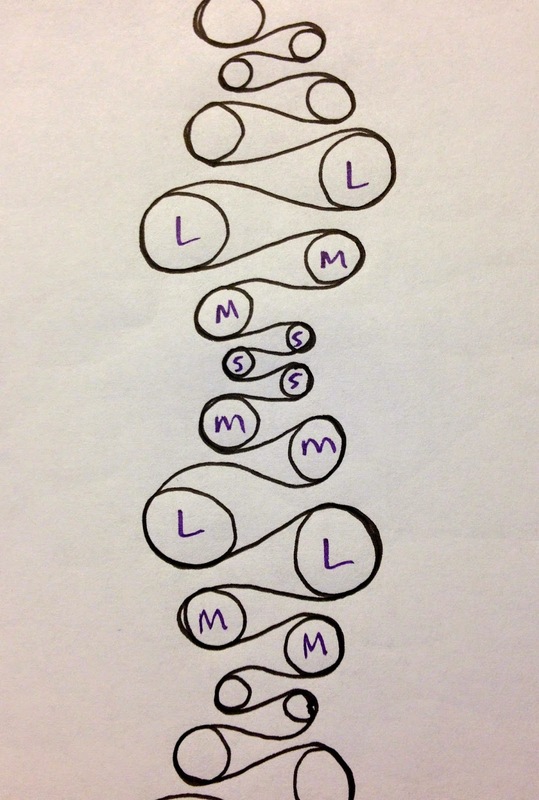 And of course I'd love to hear how it goes if you use this design on your quilt. Happy stitching! This is such a fun design! 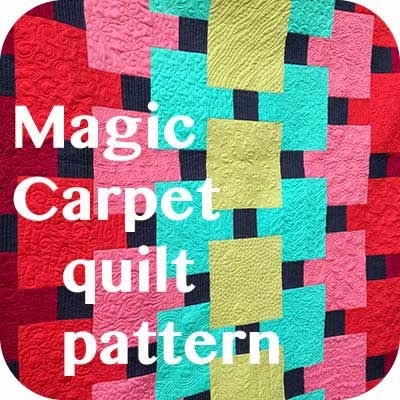 If I ever get over my terror of FMQ, I definitely want to try this. :) Thanks for posting! looks great! I like that it creates the look of pebbling without all those tight circles! Thank you! I really like this design and it looks pretty forgiving! This is great and the video is a perfect addition. Thanks Christina! Neat design and loved the video! Thanks. Love the design and your video is great. Thank you for taking the time to do it. 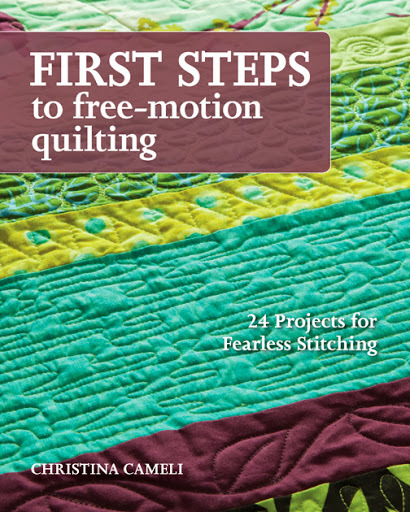 I have your FMQ book and I need a LOT of practice before I get enough courage to actually do it on a quilt. If I may make a suggestion ... in your next video, if you're showing us a design on a practice piece, please use a contrasting thread. Love this design, thanks for sharing. Such a great design! Thanks for sharing this - it looks great and I can't wait to try it. So simple, but so good looking. I know I can do this. I will start with a couple of small pieces. The other important thing I learned here was that I can cut a finger or finger tip out of my quilting gloves (I am thinking just index and thumb) so I don't have to remove them to grab threads. Love this design and, of course, the name (Dr Who fan that I am). You make it looks so darn easy! I'll have to give this one a try (after watching your video a zillion times) ~ and yes, the video was great! the video tutorial was great and i learn better with a tutorial so thank you for taking the time.....it would be helpful in the future if the thread was darker so we could see it better...just a suggestion. thank you for sharing your talents with us! Neat! I liked watching the video! I especially like how you altered your gloves. Gonna have to try that! 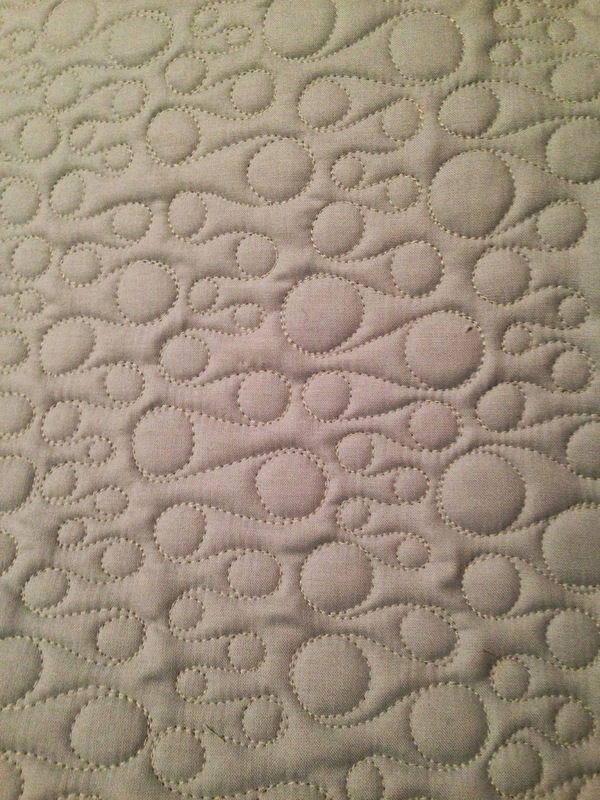 It's interesting how, when I looked at the drawing of this quilting pattern, I didn't care for it. But then when I looked at it in real life on the quilt, I adore it! Just goes to show . . . I can't always trust my brain. Glad you can put your pattern-minded brain to good use! This post made me laugh out loud, thank you! Your pattern is great and i hope I can try it soon. I love the video and I'd ask for more but I really should just take your craftsy class. Why do you cut off the fingers of your gloves though? I really would like to chat with you soon about quilts and other stuff, I should send an email, or maybe skype or hangouts? Life is good and full, there's even room for quilting again. My machine and a quilt sandwich are ready ... I'm going to try this design right now! The video is nicely done with excellent lighting so it's easy to see the motion ... thank you. Thank you Christina, the video is great! Great design and thank you so much for both the paper and video tutorial. I can do it on paper so I'm off to try it on fabric. Great design. I can see it becoming an instant favourite around the web. Love this design! I think I might even be able to pull it off! :) Thanks for the video - it helps to see it in motion. Fantastic design! It looks easy enough. Going to try this when I get home. Until then...I'll doodle! I loved the video. Just watching is exciting, I'm not sure my practice will be show worthy. Practice practice practice. Great idea! I have done the same thing, except all one size. This is better! I will keep checking on your blog for more ideas. Great design, I want to make one. Very clever, and it looks great. What a creative soul you are! Thanks for sharing. Fantastic video! I am trying to take the big step to quilt myself instead of having them quilted for me. I've watched other videos and this one is great! It encouraged me to take the step!! I really think I can do this! Thank you for sharing. Fantastic video! 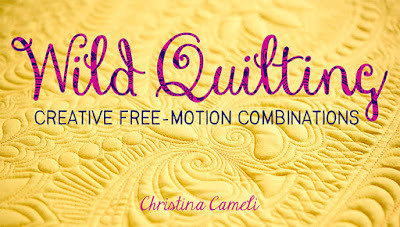 This encourages me to try quilting my own quilt. 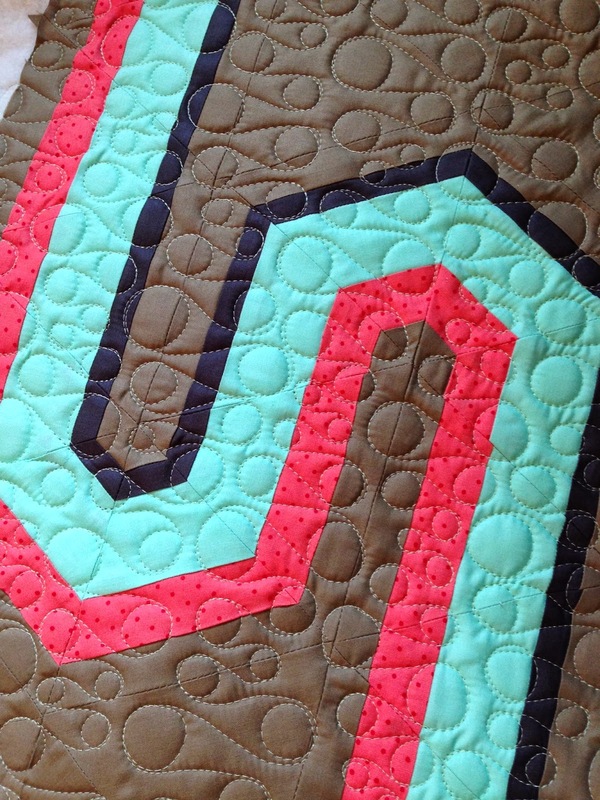 I have them quilted because I didn't think I could do it! Thanks for sharing! 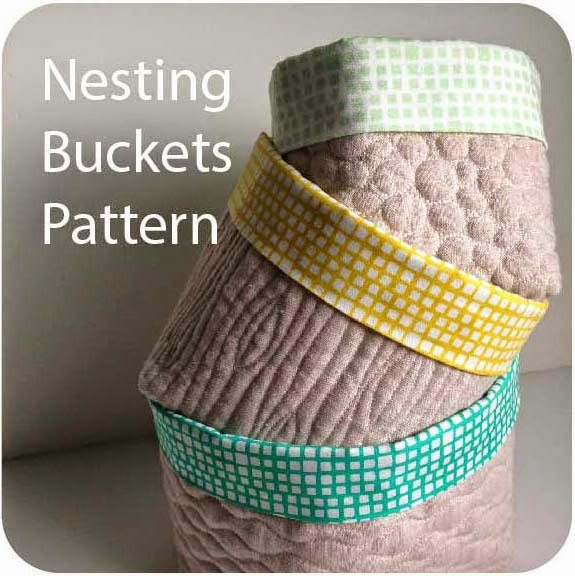 This is going to be my first try on a baby quilt.